This session provided a preview of the CIPD’s new flagship research project, Next Generation HR, which aims to prompt HR to start thinking about and debating what the profession needs to look like in the future. The speakers were Lee Seas from CIPD’s recently acquired consultancy Bridge, Andrea Cartwright from Nationwide, Therese Procter from Tesco and Alex Wilson from BT (pictured). We know that, despite Jim Collins’ exhortations, businesses are becoming ever more focused on the short-term. 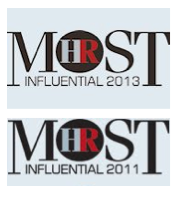 And HR has had to act ‘lean and mean’ to keep its credibility during the recession. However, there is also the sense of a seismic change or inflexion point in the opportunity for HR to contribute to the development of trust and loyalty etc. To do this it needs to build a culture which balances short-term risk management and longer-term organisational health and agility with authenticity. This means the type of HR leadership we need also has to change, and will need to be based less on process than it typically is now. The full research will be published in January, and you’ll be able to read my reactions here. Rather than live blogging here, I decided to contribute to Personnel Today’s live chat during the the presentation of the research. Last night I was told that my contributions there were a bit negative. Well, I didn’t mean them to be, and I’m sorry if I’ve upset anyone, or if this means that I’m not invited back to future conferences as CIPD’s press blogger, or even better as a speaker! I am pleased that the CIPD is trying to show the profession the way forward. 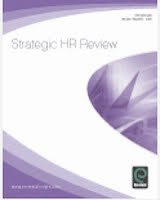 I also agree with many of the research’s conclusions, such as the need for insight driven HR. I’m pleased to be at the conference, and in general, I had a good day. But I didn’t think the presentation was that wonderful. A presentation and a report are two different things, and when presenting, it’s not always useful to follow the structure of the report. It would also have been useful to have allowed time for questions and to have finished on time. More importantly, I don’t think Sears’ presentation, or the case studies (which were fine in their own right) described the required “seismic shift” in the profession. Calling something “next generation” suggests a very different set of attributes and I didn’t get the sense of that much change. I’d have liked to have seen more ambition in what’s supposed to be some “flagship” research. Anyway, the CIPD has said it wants to start a debate on the research and I want to play my part in this. Debate isn’t the same as uncritical reporting. Having a view about what you agree with and what you don’t is core to the Credible Activist role, and to being authentic, both of which are discussed within the report. Incidentally, if I had wanted to be negative, there’s a number of other things I could have commented on, such as my professional institution paying £3m of funds it has obtained largely from its members for a consultancy which is going to compete with, guess what, yes its members – or at least the large proportion of them who act as consultants (eg me). I’ve not discussed this issue however, as I do want to stay positive about things – at last until something I perceive negatively is clearly in my focus. Then I don’t have much of a choice but to discuss this too. Given the name of this blog, and my ongoing posting, you won’t be surprised that I think HCM provides one substantially different way forward. Alex Wilson emphasised the need for HR to be ‘business people’ first but I don’t agree with this vision of our future. There’s a ‘third way’ which isn’t about focusing on HR process, and doesn’t lead us to becoming a generic business function (although one which is likely to live in Finance’s shadow), which is to focus on human capital. I believe our main need is to understand the opportunities to create new capabilities in our organisations, and to show our colleagues in the rest of the business how these capabilities can provide the basis for transformed performance and competitive advantage. To gain these benefits, organisations need to put people first. And this means HR people need to be ‘people people’, or better, ‘human capital people’, as I don’t mean to suggest a return to being ‘touchy feely’ or focusing on ‘tea and sympathy’. I just think our biggest opportunity to contribute comes from developing a deep insight about the way that we can influence our employees’ attitudes and behaviours. Yes, of course, we need to understand the business. Absolutely. But our biggest contribution comes from being different to other functions rather than the same. I was talking to some of the CIPD and other folk last night about what I think is the biggest shift impacting our businesses. This is what some people are calling the social business. And at the moment, most of these people are working in IT. Five or so years ago, some of our IT colleagues started talking about Enterprise 2.0, or the application of web 2.0 tools within our organisations (see my post on the CIPD’s report on this). But it’s also broader than this, it’s about the cultural and behavioural changes that using web 2.0 requires and enables. These IT people are now getting to the point that they’re starting to realise that actually, the key challenges in enterprise 2.0 aren’t about the technology. They’re about changing the culture, shifting peoples’ attitudes and generating new behaviours. So, over the last couple of month’s there have been a couple of conferences on Enterprise 2.0, in US and Europe. And because IT people tend to blog and tweet more extensively than HR people do, it’s been quite easy to follow these conferences from afar. And the sense I’ve got of these conferences is of a couple of hundred IT people talking together about culture change! And there’s been little to no HR contribution to this. I’ve submitted a proposal to present at the next E2.0 conference in Boston, but as it’ll be mainly IT people voting on this, I’m not that hopeful of being chosen. So wouldn’t it be wonderful to talk about this at the CIPD’s conference! To an extent, this is what Emmanuel Gobillot did, but I’d have liked to have seen more about the practical application of his insights to organisations (this is what I post on at my other blog: Social Advantage). And I’d have liked to have seen it at the centre of the CIPD’s Next Generation HR presentation too (instead, as one of the people on PT’s live chat pointed out, there was no mention of social media / social aspects of organisations at all). And how does HR contribute (or lead! – why not?) 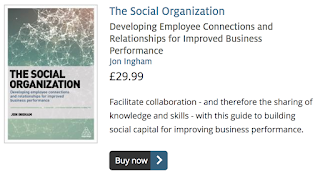 the social business? Again, it’s not by being a better business person. It’s by becoming an organisational sociologist or anthropologist. And becoming fluent in social media tools too! Are these ideas innovative? Different? Seismically so? I believe so, and I think there are lots more opportunities like these (human capital and the social business are just the areas of what I see as new generation HR that I’ve chosen to blog on, not the only areas there are, or that I consult upon). Behavioural HR - using the insights of neuroscience to change HR’s, managers’ and employees’ decision making processes and activities? 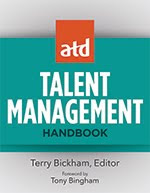 Externally focused HR – playing in SHaron Doherty’s zone 4? Green HR - developing a tie-in with ethics and CSR (to be fair, the CIPD’s presentation did include quite a lot of discussion on integrity)? HR 2.0 - the use of social media tools within HR? 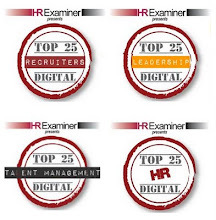 There are lots of opportunities, and I think next generation HR departments are going to be those that select from this longer list to decide how they’ve going to operate within their own organisations in order to produce the maximum impact that they can. For some of these, it might be something based upon Sustainable Organisational Performance as in the CIPD research (although I think this idea needs some further development first). And others, it might be some of the ideas I’ve written about above, or something else! What’s Next Generation HR going to involve for you? And come back on Friday 20 November for a summary of the whole conference. Excellent stuff Jon. I didn't realise the cost of next Gen was that much!!! Thanks Graeme. Just for clarification, I understand (via PT) that the CIPD aren't saying how much the research cost. The £3m is to acquire the consultancy. I don't know what this covers, but it sounds a lot. Most of what you'd normally pay to take over a consultancy would be for clients and potentially consultants too. Given the position the CIPD already has in the UK they shouldn't really need to pay for these. And should they really be playing in this space anyway?